The author of this book has not attended or had training at any law school. I learned how to navigate the legal system through independent self study. I am not attempting to provide legal advice or participate in the unauthorized practice of law. This book does contain some legal information; however legal information is not the same as legal advice which is the application of law to an individual’s specific circumstances. If you are in need of legal advice, you should consult a competent licensed attorney. I am not directing you to do what I have done, I am simply exercising my first amendment freedom of speech rights and explaining my personal experiences, sharing what I have learned, expressing my opinions about what I encountered and stating the results and personal conclusions from my many hours of research. 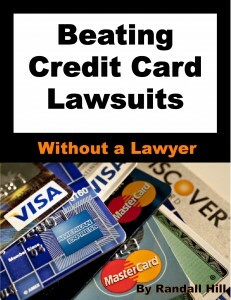 Some people may legitimately wonder; since I’m not an attorney, why this book? I am tired of witnessing a “court system” that is supposed to be fair and impartial, favor corporations and prey on the poor and elderly. I am tired of seeing a “justice system” that discriminates and disregards constitutional rights and privileges. I am tired of seeing people who have become ill or lost jobs being treated like criminals because they are experiencing a financial crisis. I am tired of being silent. It is my hope that others will become inspired and benefit from what I have learned during my legal challenges. Just before I was born, my parents moved onto what was then a predominately white street. There were only two other black families on a block of thirty two homes when my parents moved in. The neighbor’s teen aged sons put an explosive device under my parent’s car that exploded and ruptured the gas tank. The kids didn’t realize that my uncle was sitting in his car on the other side of the street and witnessed the whole thing. The police were called, the kids were taken to the police station and released because the boys were, “good eagle scouts and wouldn’t have done anything like that”. My mother contacted an attorney, who was a close family friend and filed a civil suit against the family for the damages to their vehicle. The facts from the civil trial could have been used to press for criminal charges. The day before court, my mother phoned her attorney to find out what time she needed to be in court. He explained she must have mixed up the dates and there was nothing scheduled related to the case. He would contact her when she needed to be in court. A short while later, the attorney called my mother to inform her there was a mistake and that the case was dropped because they missed the court date, the same date my mother had called about. My mother later learned from her boss who happened to be a very influential bank president that her attorney had sold her out. The father had connections and didn’t want his sons to face prosecution. Her boss further explained; “Never deal with a hungry attorney”. A hungry attorney is one that is often just starting out or is not fully establish and struggling to pay his house note, student loans, kids school tuition and other expenses that go along with raising a family. Obviously there are many corrupt and unethical lawyers. However, when a bribe is offered to a struggling attorney, they have a stronger motivation to accept it. That attorney eventually became a part time judge, filling in for judges on vacation. As I mentioned before, over the years I have handled most of my own legal matters. 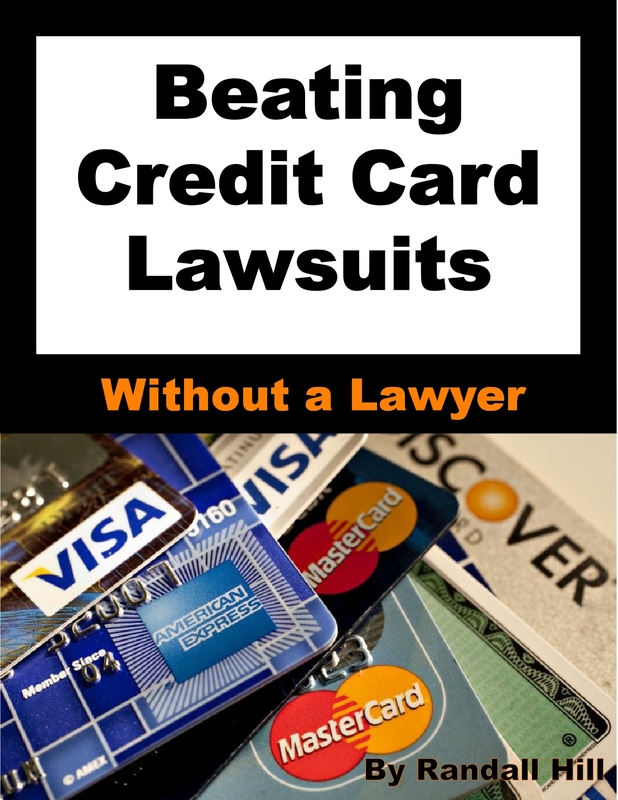 I won all of my cases against alleged creditors; but I have not seen another unrepresented person win their case. I’ve seen people that should have won tricked into unfair settlements and others attempting to fight only to lose because they did not understand the rules and procedures. The law is a tool of the trade for attorneys. This tool is often used competently by those with no formal training and sometimes used poorly by licensed attorneys. Over the years, I have saved tens of thousands of dollars by becoming familiar with the legal system and process so that I could handle most of my personal legal issues. With no more than a high school education, Vivian Thomas rose above poverty and racism and became a cardiac surgery pioneer and a teacher to many of the country’s most prominent surgeons. See the movie – Something the Lord Made. Steven Spielberg at 11 directed his first movie while a Boy Scout to obtain his photography merit badge; he made an 8 mm film because his father’s still camera was broken. By 13 he won his first award and by 16 his first commercial success. Steve Jobs and Bill Gates, through independent study, taught themselves about building and programming computers. Inventors Alexander Graham Bell and Thomas Edison were both self taught. In fact some of Edison’s early teachers thought he was too stupid for school. There are countless other examples of people possessing tremendous ability and talent with no formal education or training. The point here is that people can become very competent though independent study without formalized training and credentials. The credentials simply serve to demonstrate to others that a certain minimum standard has been achieved. Since your new found legal skills will be for the personal benefit of you and your family, you don’t need credentials to validate your understanding of the legal system. Winning your cases is the only validation you need.